Another craft dredged from the files of former, well meaning staff members. The tree outline is fine--I've used stuff like that myself. 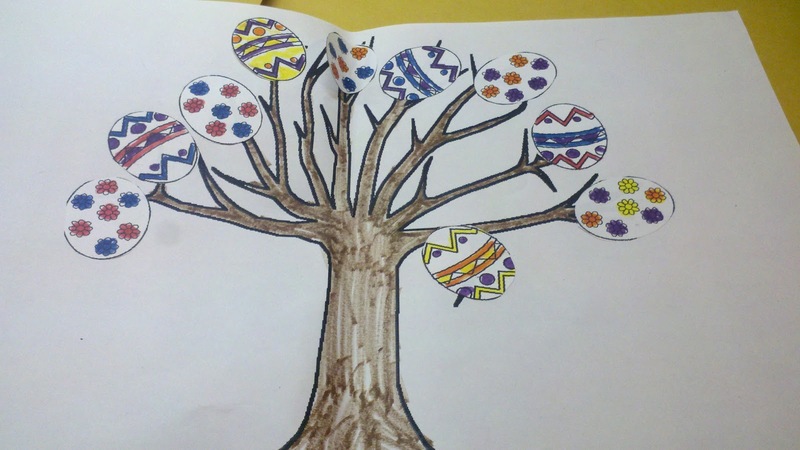 The horror here is the coloring book eggs. They are pre-printed with patterns,nd were clearly pre-cut by my Type A former assistant. and is completewith a "model" here to show the kids how to place the eggs. What a waste of staff time and what a lost opportunity to teach kids skills and let them have some FUN!